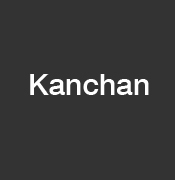 Profile of the victim : Kanchan was a girl of 16 years and was the resident of village Kitna, Mahilpur town in Punjab. She was in love with her relative. The accused : Her brother Mani Pratap Kaushal. Assassination : During sustained interrogation, Mani Pratap Kaushal confessed he had strangulated his sister Kanchan with an electric wire as he doubted her character, that she is having an affair which had incensed the family SSP Rakesh Aggarwal told mediapersons in Hoshiarpur. Earlier, Surinder Singh, the father of the girl, had filed a report with Mahilpur police station that his daughter was missing since June 29. After serving dinner to the family, she had left the house without informing anyone, the father said in the complaint, according to the SSP. A few days later, a body was fished out from a canal in Kapurthala district and police called Surinder Singh’s family to identify the body.